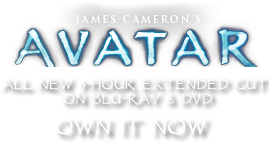 Ground Rack | Pandorapedia: The Official Guide to Pandora | Own AVATAR on Blu-ray & DVD Now! The Na'vi believe that it is vital to honor the animal who gave up its life for the good of the clan. For this reason, these ground racks never fall into a state of disrepair or uncleanliness that might indicate a lack of respect for both animal and hunter. Materials and Construction Green wood is bent into bowed shapes, then held in shape by rope and twine. Arches of wood intersect to increase strength of rack. Decorated with ceremonial seed pods. Wooden hooks used for meat are attached with twine to tops of arches. Notes The Na'vi believe that it is vital to honor the animal who gave up its life for the good of the clan. For this reason, these ground racks never fall into a state of disrepair or uncleanliness that might indicate a lack of respect for both animal and hunter.